Very high spin speed, shorter washing cycle. The sealed industrial bearing for a long lifespan and less wear..
4. Anti-vibration with excellent shock absobers and spring. 5. Very high spin speed, shorter washing cycle. 6. The sealed industrial bearing for a long lifespan and less wear. 7. Energy and water saving systems. 8. The aerodynamic design of soap inject system. 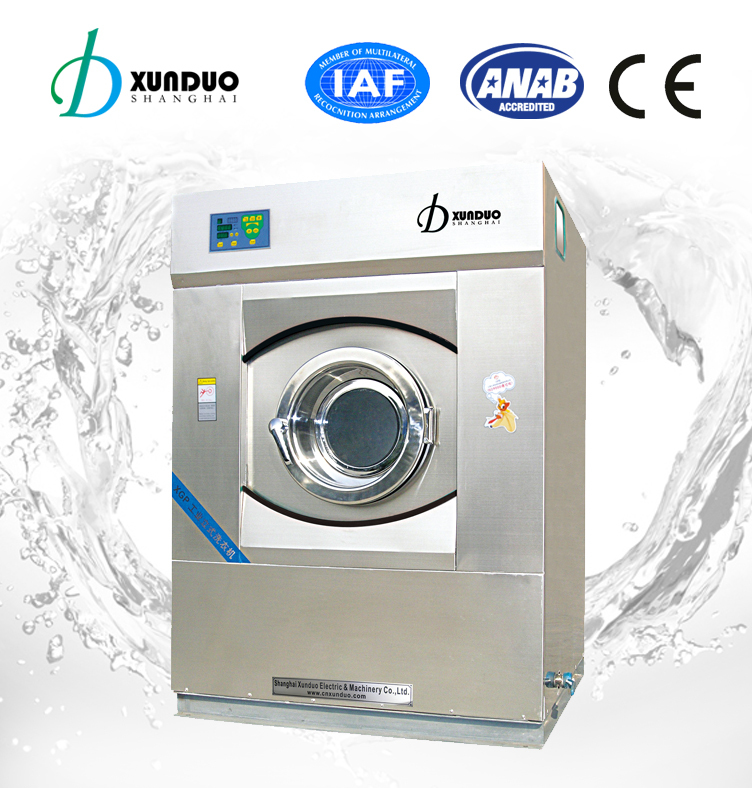 It's widely used in hospital, restaurant,school amd hotel laundry. 3. Long life and less wearing.low energy consumption. 4. User-friendly and environmentally friendly design.